It's the most wonderful time of the year and there's no shortage of new music to get you in the holiday spirit. 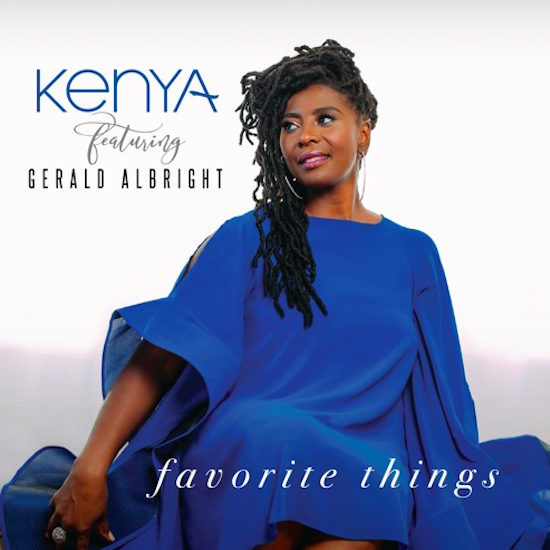 Singer Kenya is throwing her hat into the ring with her rendition of the holiday staple, "Favorite Things," where she is joined by legendary saxophonist Gerald Albright. On the offering, Kenya redirects the classic tune into a jazz-infused number. Her angelic voice shines bright and clear as she manages to breathe new life into this oft-covered song. Her voice fits neatly alongside the dips and dives of Albright's sax, lending the song a cheery, optimistic disposition that is perfect for the Christmas season. The Chicago-based singer welcomed the challenge of taking the familiar song in a different direction. "One of my creative passions is rearranging music. I love to take familiar songs and add a new 'twist' to bring a new perspective to the music," she explains. It was after she hit the studio with producer Stu Stapleton that she realized the song needed the talents of Albright to complete the vision, adding that they knew automatically that Albright would be the perfect fit. Take a listen to Kenya's rendition of "Favorite Things" and see if it will make it to your holiday playlist.